We believe access to safe water is a basic human right. An estimated 850,000 people globally die each year from waterborne illnesses, sanitation- and hygiene-related causes. Many of these deaths are preventable. That’s why The Clorox Company has partnered with the global nonprofit Evidence Action to give millions of people in Kenya and Uganda access to safe drinking water. Evidence Action’s Dispensers for Safe Water program installs easy-to-use dispensers filled with disinfecting solution right next to water collection points in rural parts of Sub-Saharan Africa. 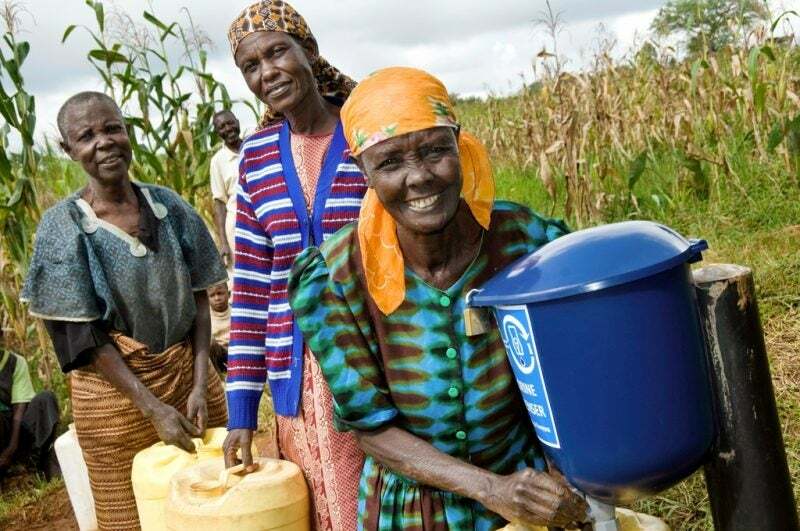 When fetching water, local communities add about a half-teaspoon of the solution to a 20-liter liquid container before filling the container with water. 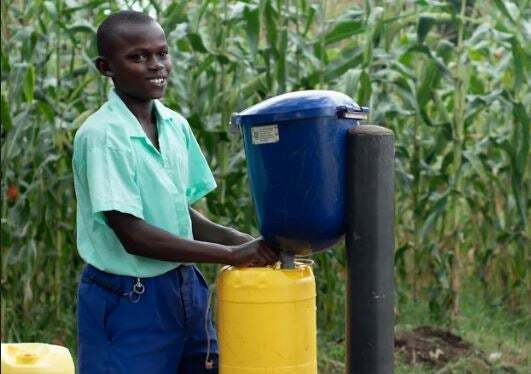 The solution disinfects the water as they walk home, keeping it safe to drink for up to three days and provides an effective, low-cost means of reducing waterborne illness. Clorox is supplying Evidence Action with the disinfecting solution, similar to the bleach in your home, which will be used to fill tens of thousands of dispensers in rural parts of Kenya. 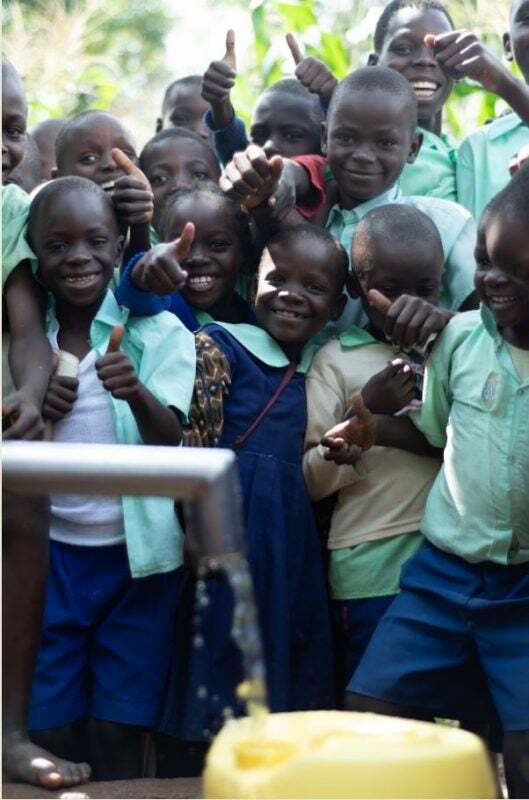 In 2019, through our partnership with Evidence Action, we will help provide access to safe drinking water to 1 million people in Kenya. By 2020, we will continue to expand our impact to over 3.4 million people in Kenya and Uganda. Boy ar a water dispenser/ Lydia Thomas Photography courtesy of Evidence Action. The Clorox Safe Water Project started in 2012 in Peru, where it provides safe drinking water for more than 25,000 people annually. We successfully “graduated” our first communities last year. The Safe Water Project aims to harness the simple, cost-effective and powerful nature of Clorox® bleach to address one of the most pressing global issues: water safety. While there are many clean water technologies out there, it’s hard to beat a few drops of bleach as a water treatment solution. The Clorox Safe Water Project’s innovative bleach dispenser model is a scalable, easy-to-use and economical way to kill 99.9 percent of bacteria and viruses in water, including cholera and e.coli. This World Water Day, we are so happy to be expanding our impact from 25,000 people to more than 1 million people this year alone. Children by a water dispenser. Photo credit: Lydia Thomas Photography.